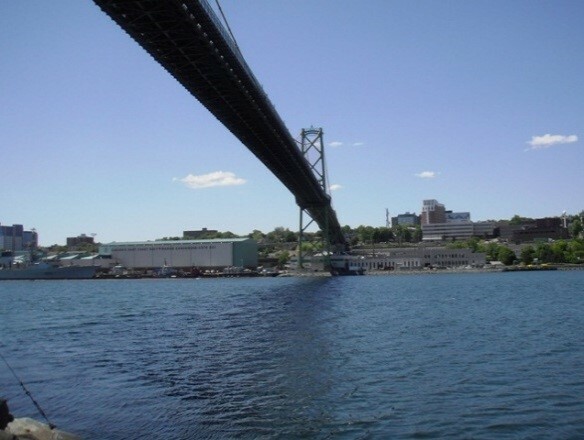 Halifax Harbour Bridges (HHB) owns and operates two long span suspension toll bridges, the Angus L. Macdonald Bridge and the A. Murray MacKay Bridge. Harbourside Engineering Consultants has completed annual structural inspections of both suspension bridge structures, along with a variety of ancillary bridge (multi span steel box girder, rigid frame, multi-span voided post tensioned concrete slabs) and retaining structures (cast-in-place cantilever, bin-wall) from 2010 to present. Inspection reporting includes element condition, defect identification and recommended maintenance. 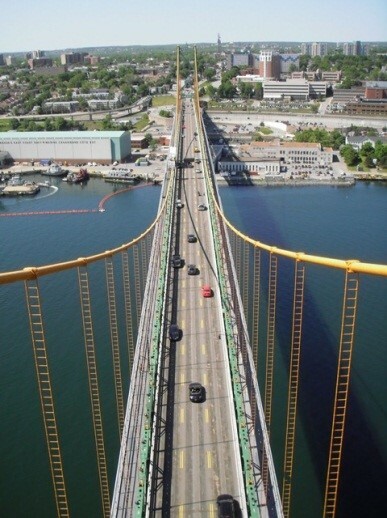 In recent years, HEC has played an integral role in exploring alternate access methodologies to improve inspection of previously inaccessible location as well as working with HHB to develop required inspection frequencies for various areas of the bridge. These inspections play an integral role in HHB’s maintenance and safety programs ensuring continued safe operations of all structures and providing valuable condition assessment to allow for proper capital expenditure planning.